Huda Beauty lance son premier fond de teint et on adore !!!!!!! On y est, c’est la date de lancement du fond de teint Faux filter d’Huda Beauty !! Après un an de travail et recherche sur ce fond de teint, Huda Beauty lance Faux filter sa première gamme de fond de teint comprenant 40 teintes pour toutes carnations. Le fond de teint est liquide et couvrant, disponible sous 40 teintes pour toutes carnations. Un primer et un blush sont également proposés pour notre plus grand plaisir. Les produits sont disponibles sur le site Sephora US, à Dubaï et le site anglais Cultbeauty. Woohoooo our #hudabeautyfauxfilter foundations are finally launching tomorrow at selective stores & online 💃🏻💃🏻💃🏻 SWIPE left to see where ***************************UPDATE********************We launch in select Sephora US stores on 10.20, and will be available in Europe and Australia mid November. Hey My Darlings! This contest is ENDING tonight! We are launching our LARGEST giveaway to date to celebrate our #HudaBeautyFauxFilter Foundation launch! 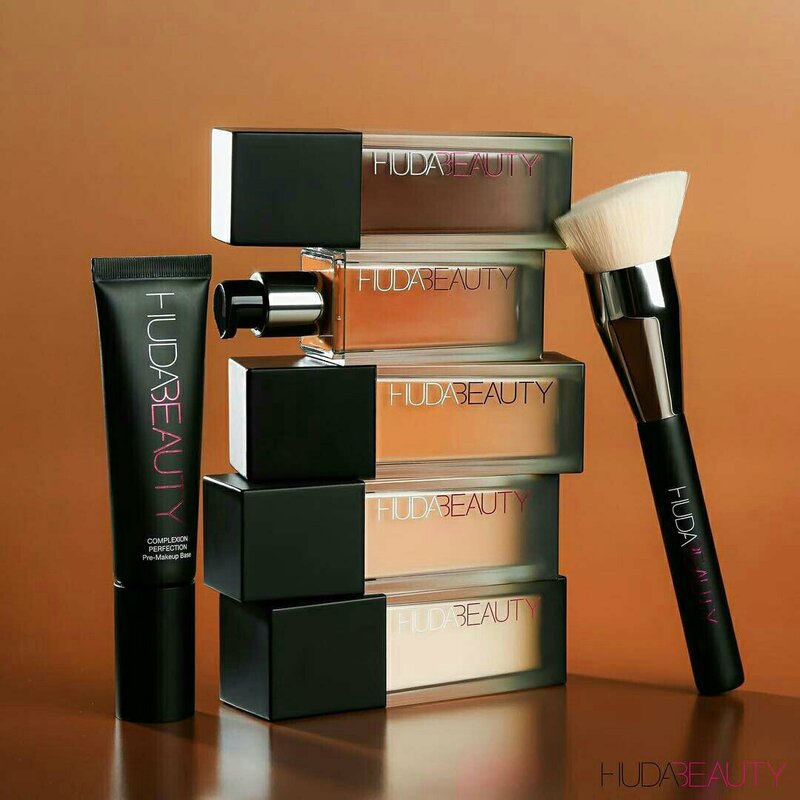 💃🏻💃🏻💃🏻 30 Winners will win our ENTIRE HUDA BEAUTY COLLECTION and 2 #FauxFilter Foundations, 1 Complexion Perfection Primer, & Foundation Brush with our Huda Beauty Foundation Bag worth over $2300 USD!!! Competition Rules: 1️⃣ Follow @hudabeauty & @shophudabeauty 2️⃣ Repost & like this photo 🔁💓 3️⃣ Tag 5 friends in the comments below 🙋🏽 4️⃣ Hashtag #hudabeautygiveaway 5️⃣ You can enter as many times as you like ⏰ Contest ends on Saturday, October 7th at midnight Dubai time! Winners will be chosen on Monday, October 9th! Best of luck my beauty loving sweethearts!!! ****** UPDATE we are going to choose 2 more winners since we made a mistake and chose 2 winners that had recently won! Go on the blog to find out who the 2 winners are! @indiqb I understand your frustration guys but these contests are very stressful on us. It's not easy going thru that many entries. We do this to be nice & to give back to you guys for all your love & support. We don't want to stop doing them but the negative comments have to stop! #hudabeautyfauxfilter foundation which shade are you?! ← Découvrez la dernière palette beauté pour laquelle on craque !!!! !